This is one of the oldest movies I've really enjoyed. Normally, some of those before the 1940s are cursed with the overacting that resulted from the switch from stage to screen and silent to talkies. Not so this one. It's fantastic and Clark Gable is a total hottie in it. 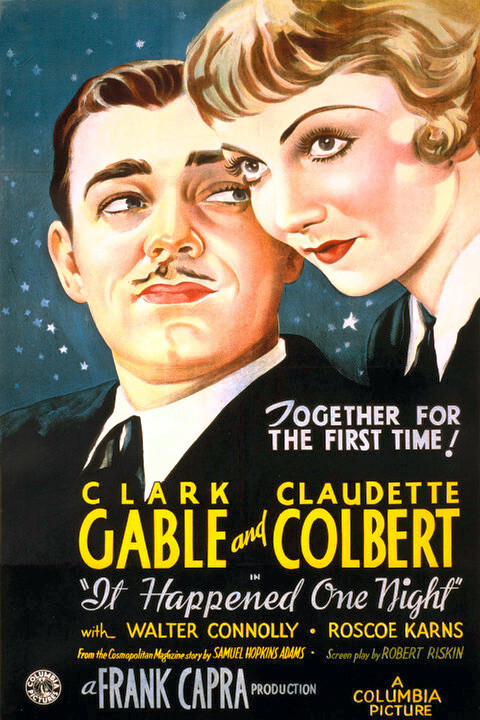 The movie also stars Claudette Colbert who nails the clueless, naive, but determined socialite on the run from a wedding she no longer wants. There is lots of humor and charm in the script. The acting is superb. It's definitely held up well in the 81 years since it was released. 81 years! You can watch it on Amazon Prime. It's also available on DVD.